Under the Fair Credit Reporting Act, a federal statute passed in 1970, consumers are entitled to basic credit reporting rights. The FCRA protects us in regard to privacy, fair treatment, and accuracy of our credit files with consumer reporting agencies and credit bureaus. Specialty reporting agencies such as employment history, medical records, payday lending, and check screening agencies are also included in the companies that must follow the letter of the law detailed in the FCRA. If credit bureaus like Experian®, Equifax®, and TransUnion® do not conform to the FCRA, they may be held liable for damages. Credit reporting agencies like the ones listed above seem to know our every financial move for the entirety of our adult lives. These and other smaller credit reporting agencies collect information from court records, banks, credit card companies, finance companies, retail stores, cell phone companies and many other businesses that issue credit to consumers. Your credit score may vary slightly amongst the three big CRA’s (credit reporting agency) because the same creditors are not included in all three reports. The Big Three will collect information from different sources, so while credit scores may vary, your credit score should be fairly similar across the board. Sometimes complete information about a debt will not be collected, and some debts are completely missing from one of the reports. These minor discrepancies may result in scores being slightly higher or lower amongst the Big Three. Because your credit status is constantly changing, so is your credit score. All of your information is in a big database, and when your credit score is pulled, all info collected to that date is compiled to produce the credit report a creditor will eventually see. It is not uncommon for credit reports to contain inaccuracies, and you have a right to view your credit report once a year at no charge and file disputes if you discover errors on the report. 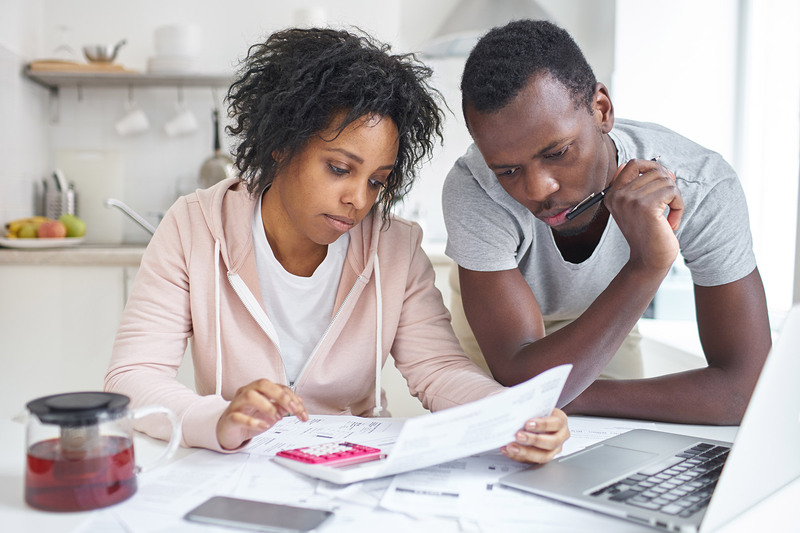 While disputing a credit report can be a timely and frustrating process, it’s worth your time to make sure the information being seen by others is fair and accurate. When a third party uses credit report information against you, that party must provide you with the information (Name of CRA, phone #, address, etc.) of the credit reporting agency they received your consumer information from. The term “adverse action” is used to indicate any negative information reported to a business or individual that would lead to the denial of credit, employment, insurance, or other benefits. You have the right to know specific information that’s in your file at a CRA. The Big Three allow you to review your credit report once a year at no charge. If you find an inaccuracy on your credit report and file a dispute, the CRA must investigate your claims. Confirmed discrepancies must be removed or adjusted within 30 days. CRA’s must remove any and all outdated information in your file. Bankruptcy may stay in your file for ten years, but failed child support payments, delinquent accounts, or filed lawsuits or judgments must be removed from your file after seven years. Any employer must get express written consent from you before accessing your records from a credit reporting agency. If you have documented errors in your credit reports, you should speak with a consumer attorney who is familiar with your rights under the FCRA. If a CRA fails to investigate your dispute or update your credit report, you may be entitled to a claim for damages.